We are approaching back to school time again. A time for parent teacher conferences, back-to-school clothes shopping, and walking around humming, “It’s the Most Wonderful Time of the Year.” There are a few things to keep in mind during this busy period that will help smooth the transition for both you and your children. Don’t forget the immunizations. Though this seems to be a controversial subject for children younger than school age, your state has a law on which immunizations are required for public school. Each state has different laws, so if your summer involved a state-to-state move, you may want to get that checked out, too. In other fun and happy news, Pertussis, otherwise known as whooping cough, hasn’t been this relevant since the ‘60s. Children and Grandparents especially should look into immunizations or boosters for this highly contagious respiratory disease. 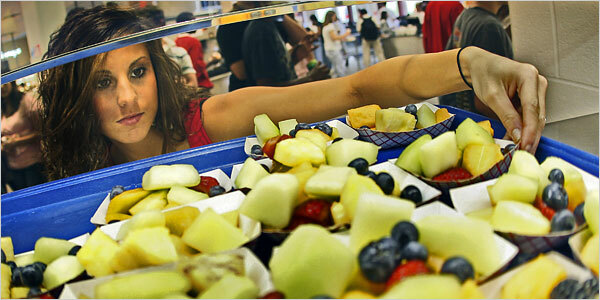 Look into the school lunch program. Schools cannot require you to fill out this form, but rule of thumb is if you are a family of four and make about 50,000 a year or less, then you are probably eligible for free or reduced lunches. Although school lunches don’t look like they’ve changed much from our Salisbury steak and tater tot days, the school lunch program makes a conscious effort to provide healthy meals low in trans and saturated fats. Reestablish Bedtime. Cut loose on the summer bedtime schedule? Remember to reel back in the bedtime so your kids (and you) can get back in the swing of things before you are swinging into things. The same goes for a homework schedule. As after school activities and social obligations mount during the year, having time blacked out for certain needs can really be a lifesaver. You already know this, but isn’t it nice to hear it again? School Funds and Fundraisers. We know that teachers do not make enough money, and when a school receives budget cuts, it really can feel the burn. There are ways to participate in these events without letting it get out of hand. At the beginning of the school year ask the teacher what supplies she may need, or make a donation directly to the teacher for her to apply to classroom needs if you are comfortable with that. 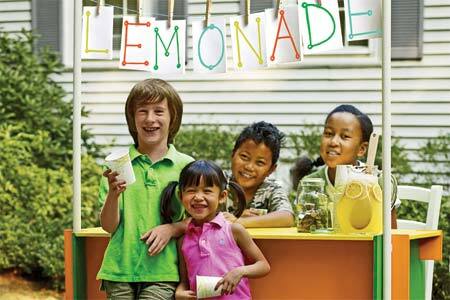 Another thing you may want to try this year is set up a fundraising plan for your children. First, you get a fundraiser for candy bars, then a brochure for gift items, then Christmas wrapping, then for teddy bear accessories and if your child suckers $500 dollars out of your friends and family members, they might be entered into a sweepstakes to potentially win an Ipod shuffle. By the time the school is done talking up the fundraiser, your child would sell a sibling for that Ipod shuffle. So to make matters more manageable, tell your child at the beginning of the year how much exactly you plan to spend on fundraisers. Your children will learn about budgeting, and you can help keep your Christmas wrapping supplies under control. Pay attention to your child’s mood. Feeling a little nervous and shy is expected, but if your kid is going through the back to school aisle like dead man walking, there may be something to it, especially if this is not your child’s first year at school. If your child is trying to negotiate out of going back to school, it could be because of an ongoing negative learning or social experience. Talk to your child about what is bothering them; don’t be too quick to just assume it is summer blues. If your child’s teacher from the previous year addressed concerns, discuss them with this year’s teacher. If your child is exhibiting signs of having a different set of learning needs, check out ncld.org. A little research never hurt anything, except we all feel inclined to self-diagnose when we read about diseases and disabilities. Ncld.org is designed to provide a comprehensive process for identifying learning disabilities and getting the proper level of help for them. Early detection and supplemental help could be the difference not only in your child’s current success but in his future success as well. If you want your child to take school seriously, you need to be serious about it to, nothing in life teaches better than example.